skype now provides you the scope to chat or call directly to your online facebook friends. 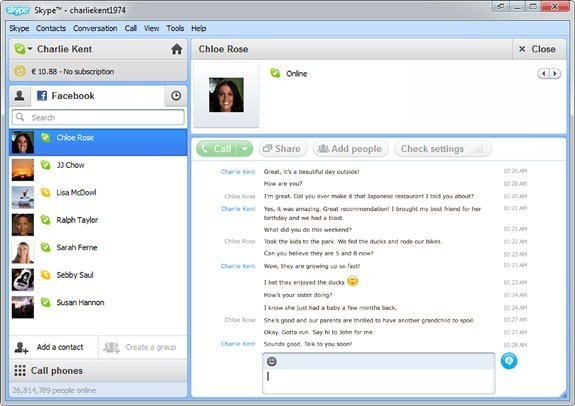 skype on 20th june 2011 releases its new version skype 5.5 . you can now avail all your online friends at the skype and can chat or call instantly to them on the skype tray itself. now facebook is a client of skype, skype is providing its facilities to facebook too. so now enjoy calling endlessly to your online facebook friends with skype. here is an image showing you how that skype tray would like like.